Our community partners can help us meet our commitment to providing affordable early care and school age services to low-moderate income families. All families are expected to financially support their children to the extent they are able. Please help us enroll more children by supporting a scholarship, or choose to help us improve our quality by supporting a special program improvement. If you wish to help us, please send your contributions to Newark Day Nursery and Children’s Center, 921 Barksdale Rd, Newark DE, 19711. Also, as NDNCC is a United Way of DE agency, you can direct your United Way contributions to our agency by entering Code 0440 in the Designations section of your United Way donation pledge form. Donations to Newark Day Nursery and Children’s Center are not refundable. 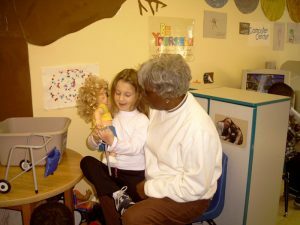 Newark Day Nursery and Children’s Center is a 501 (c) (3) not for profit organization approved by the Internal Revenue Service as a charitable organization. As such, your donations are tax deductible to the amount provided for in the tax code. Please consult with your tax advisor for specific deductibility information. To make a donation now, click button at right.